Lauren Lanahan's research primarily focuses on public economics as it relates to innovation and entrepreneurship. With a passion for evidence-based analysis, her work investigates the role of public institutions in understanding the evolving, multifaceted R&D enterprise. Her initial interest in this line of research began prior to her graduate academic career while working at the National Science Foundation. Working in NSF’s Social, Behavioral & Economics Directorate gave her a distinct insight into the process by which academia governs and evaluates itself. Through this experience, she became interested in research questions that extend beyond R&D within higher education toward questioning what institutions and reward structures are most efficient at producing new scientific knowledge and consequent economic growth. Several key Lundquist College initiatives are now coming to full fruition. A proposal by Assistant Professor of Management Lauren Lanahan earned a two-year funding grant from the National Science Foundation. Get to know our new dean Sarah E. Nutter, meet our first Rippey Professor of Practice in Finance Scott Kerslake, get a peek at our new Portland facility, see how our business Ducks worked all the way to the Olympics, and more. 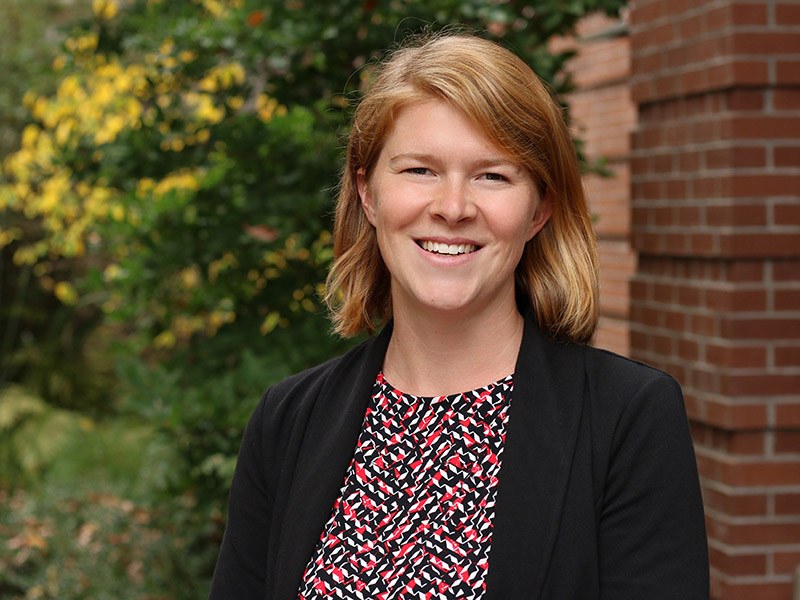 Research by Assistant Professor Lauren Lanahan found that when it comes to research, federal funding encourages investments from nonfederal funders. Global Entrepreneurship Week was filled with success for UO students, who took home awards and participated in several local startup-geared events. Moulton, J. G., A. Graddy-Reed, and L. Lanahan. "Beyond the EITC:The Effect Of Reducing The Earned Income Tax Credit On Labor Force Participation." National Tax Journal, 69, no. 2: 261-284. Lanahan, L. "Multilevel Funding for Small Business Innovation: A Critical Review of State SBIR Match Programs." The Journal of Technology Transfer, 41, no. 2: 220-249. Lanahan, L. and M.P. Feldman. "Approximating Exogenous Variation in R&D: Evidence from the Kentucky and North Carolina SBIR State Match Programs, Accepted at Review of Economics and Statistics. Hardin, J., L. Lanahan,and L. Brun. "Assessing State-level Science and Technology Policies: North Carolina's Experience with SBIR State Matching Grants." In Oxford University Handbook of Local Competitiveness, edited by David A. Audretsch, Albert N. Link, and Mary Lindenstein Walshok, 385-400. Oxford, UK: Oxford University Press. Feldman, M. P., and L. Lanahan. "Crafting a Comeback: Innovation and Entrepreneurship as an Economic Development Strategy in Mature Regions." In Handbook of Manufacturing Industries in the World Economy, edited by J. R. Bryson, Jennifer Clark, and Vida Canchan, 451-473. Northampton, MA: Edward Elgar. Feldman, M. P. and L. Lanahan. "State Science Policy Experiments." In The Changing Frontier: Rethinking Science and Innovation Policy, edited by Adam B. Jaffe, and Bengamin F. Jones, 287-317. Chicago, IL: University of Chicago Press. Feldman, M. P., A. Freyer, and L. Lanahan. "On the Measurement of University Research Contributions to Economic Growth and Innovation." In Universities and Colleges as Economic Drivers: Measuring Higher Education’s Role in Economic Development, edited by Jason E. Lane, and D. Bruce Johnstone, 97-128. Albany, NY: SUNY Press. Feldman, M. P., L. Lanahan, and J.M. Miller. "Inadvertent Infrastructure and Regional Entrepreneurship Policy." In The Handbook of Research on Entrepreneurship and Regional Development, edited by Michael Fritsch, 216-251. Northampton, MA: Edward Elgar.